leaders of thoughts from Old Bende area of Abia State on Thursday called on politicians in the zone to mind their utterances before, during and after the forthcoming rerun election in Abia North Senatorial District. According to a statement signed by Chief Daniel Akwari and made available to journalists shortly after the meeting held at his Item residence, the statement said the peace and unity of the region would not be jeopardised because of political sentiments as the common good of the zone is paramount and above individual interests. The statement added that politicians and political parties should adhere to the rules of the game. The statement read: “Just recently the Court of Appeal sitting in Owerri ordered the Independent National Electoral Commission (INEC) to conduct a fresh poll in Abia North due to widespread irregularities that characterised the 2015 poll in the region. “We gathered from reliable sources that some politicians and their agents are planning to disrupt the peace we have been enjoying over the years in order to perpetuate electoral fraud. “We are using this medium to advise stakeholders including political parties, security agencies and voters to maintain law and order as we will not tolerate what transpired at the last election where there was social unrest due to manipulation of results in favour of an unpopular candidate. “This is a new opportunity for the people’s will to prevail. 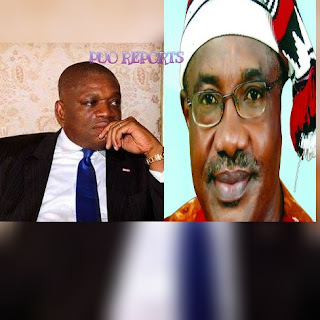 We must uphold the doctrine of one man, one vote.” The leaders while cautioning the embattled Senator of Abia North, Mr. Mao Ohunabunwa, over his negative comments on Dr. Orji Uzor Kalu , noted that there should be decorum in politics. The meeting had in attendance prominent indigenes of the region including Dr. Mbaoma Okereke, Chief Emeka Onwuka, Chief Kalu Uduma, Mr. Onuoha Ukpabi, Chibuike Jonas, Mr. Benjamin Kalu and Chief Mascot Kalu, among others.